Kofi Annan’s resignation from his post as the UN-Arab League joint envoy to Syria has prompted an ample international reaction. While most countries regretted the decision, some used the opportunity to take new jabs at the Syrian leadership. ­Washington said Annan’s resignation highlighted Russia's and China's failure to support action against Syrian President Bashar al-Assad. White House Press Secretary Jay Carney added that Assad continued to “brutally murder” his own people, in spite of promises to follow Annan’s six-point plan. The reaction out of London largely echoed what the world had already heard from America. “We understand Annan’s frustration that, due to vetoes in the Security Council, the international community was unable to give him the support that he needed and requested,” British Foreign Secretary William Hague said in a statement. 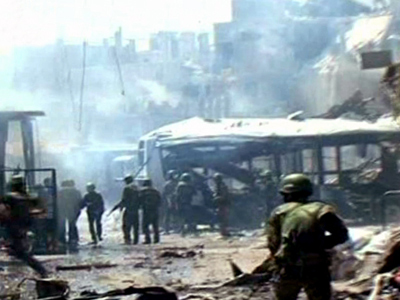 Hague also noted that the Syrian government was failing to meet its obligations according to the Annan plan, instead continuing to repress its people. Nevertheless, Hague commended Annan’s efforts and stressed that the best chance of bringing about a peaceful solution to the crisis would be to stick to outgoing the envoy’s plan, as well as the Geneva communiqué adopted in June. 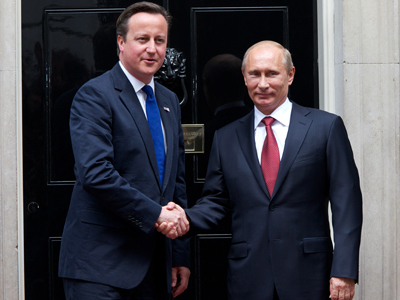 However, Prime Minister David Cameron signaled what could be a new, harsher period in the West's treatment of the Assad regime. 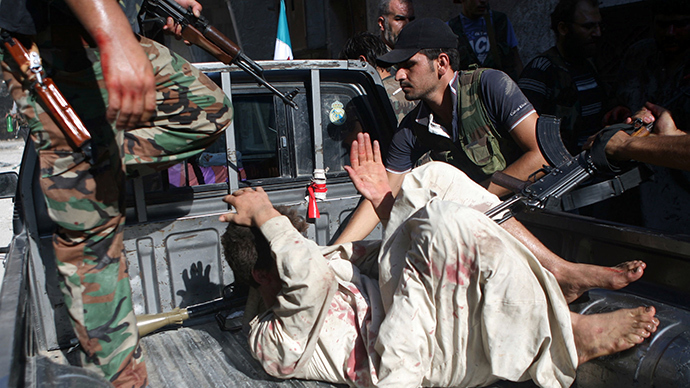 The Annan plan "hasn't worked because we have got this appalling bloodshed. 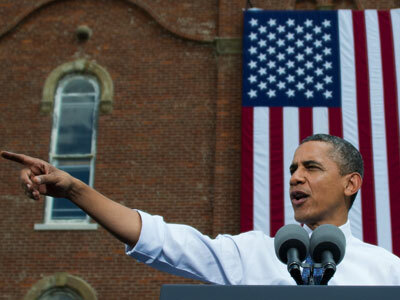 I think what we need to do is actually ramp things up,” he told Sky News. Annan's resignation “illustrates the dramatic stalemate of the Syrian conflict,” said French Foreign Minister Laurent Fabius. France's UN envoy also voiced concerns that the observer mission could be wrapped up following the envoy's departure. 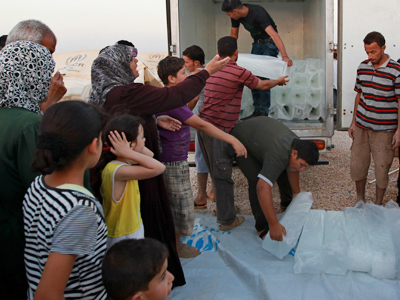 The UN Security Council will decide on the observers' next move on August 16. A wide spectrum of international leaders and diplomats expressed disappointment over Annan's stepping down, including Russian President Vladimir Putin. Moscow was happy to learn, though, that the UN and Arab League are looking for a successor to continue the peace mission, remarked Russian envoy to the UN Vitaly Churkin. 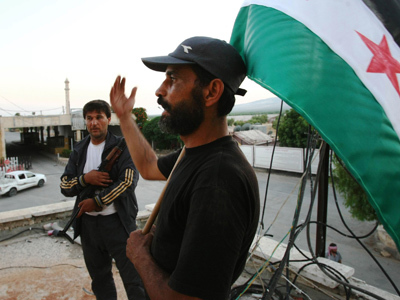 Syria voiced regret over Annan’s resignation, reaffirming its support of the principles he laid out. “Syria still believes the only way out of the crisis is a national dialogue and a peace resolution, not a foreign intervention,” the Syrian Foreign Ministry said, adding that Damascus would continue its pursuit of terrorism and its bid to ensure security in the country. 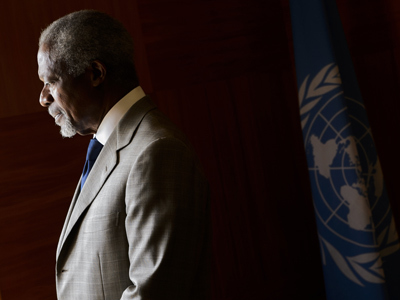 UN Secretary General Ban Ki-moon commended Annan’s efforts to put an end to the Syrian conflict. Ban also blamed both the Syrian government and opposition for continuing to rely on “ever-increasing” violence to further their cause. The Secretary General also took note of other hurdles in the way of a peaceful solution to the crisis. “The persistent divisions within the Security Council have themselves become an obstacle to diplomacy, making the work of any mediator vastly more difficult,” he said. 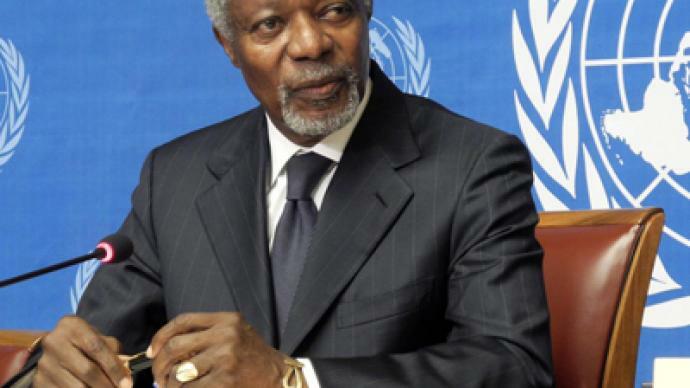 Annan’s resignation came as the UN General Assembly continued to discuss a draft resolution on Syria. The original draft, written by Saudi Arabia, called for new sanctions against the country and insisted on Assad’s resignation. Both clauses were removed as the draft risked failure to reach 100 votes in a vote scheduled for Friday. The original was panned by key international players such as Russia, China, Brazil and India. Churkin noted that the draft was an “extremely unbalanced and one-sided resolution.” He also said the countries pushing most actively for its adoption were the ones providing weapons to the Syrian opposition. 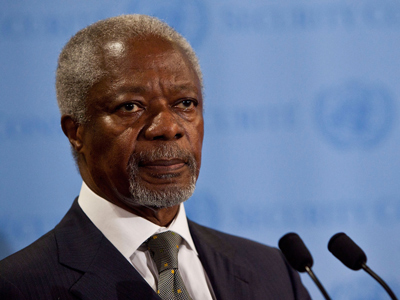 “This is, unfortunately, the tragedy of the matter, something which made Kofi Annan's efforts so difficult," he said.